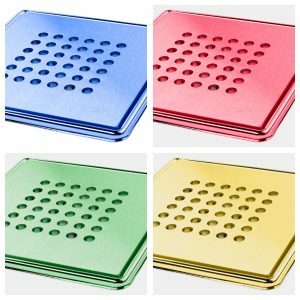 With the growing trend to customise bathrooms, On The Level (OTL) have produced a spectrum of contemporary coloured gratings from Gold to Green – meaning it’s now easier to make a shower or wetroom as individual as you. The range of colours come in matt or gloss, at an additional cost, depending on the size and colour chosen. OTL will replicate any colour required, meaning you can have the same colour grating to match bathroom tiles, towels or theme. 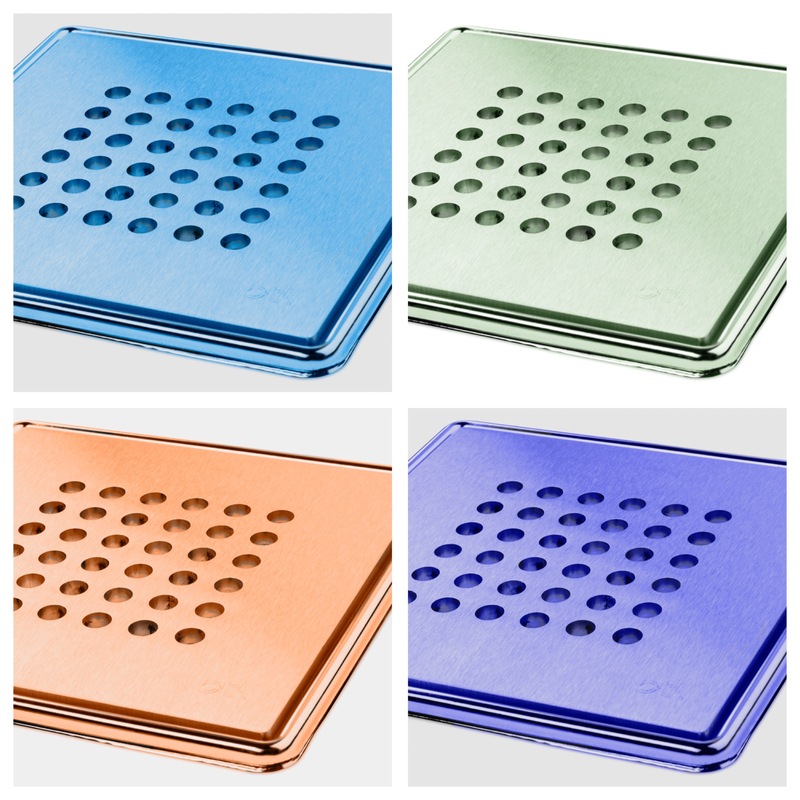 Examples of available colours include; Blue, Green, Orange, Yellow, Pink, Red, Gold and Black. 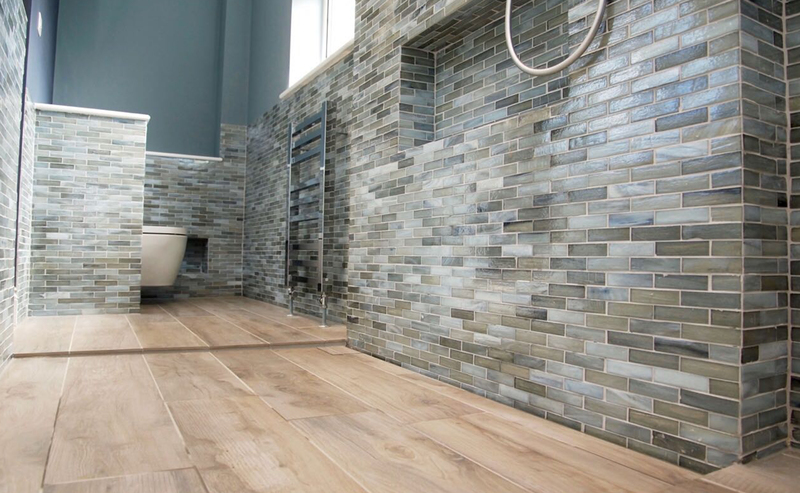 A square floor drain complements a classic wet room design. 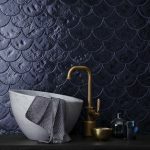 It’s best suited to mosaic tiles but can also be used with large format tiles. 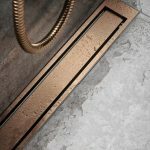 OTL gratings and channels are available in a wide range of colours as well as; fine grain brushed stainless steel or superior polished chrome plate on brass. 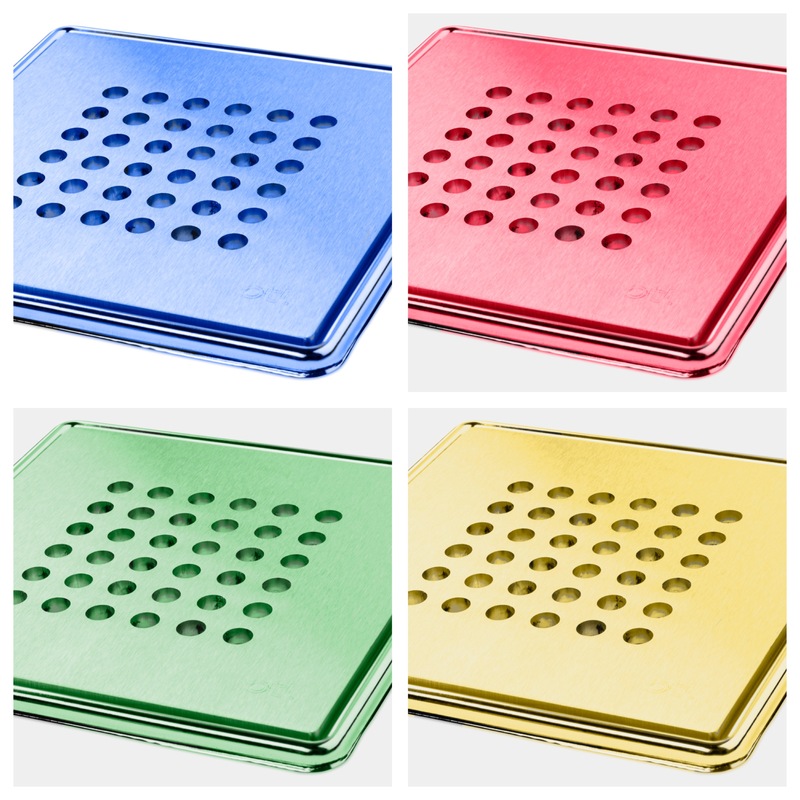 OTL offers formers suitable for square gratings, linear channels and level access wet rooms. 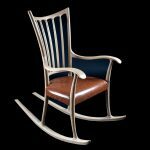 The complete assembly is made in the UK at the OTL factory in Bedfordshire, giving full control of the manufacturing process including bespoke design, quality control and quick delivery. 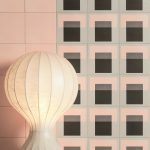 March 2018, Duravit has received the iF DESIGN AWARD for the 41st time. The iF GOLD AWARD acknowledges the design excellence, execution, consideration of environmental standards, functionality and innovations of the new C.1 tap fittings range. 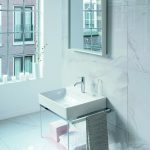 This award again confirms Duravit’s high level of design expertise. In addition, Luv, Vero Air c-bonded and the BioTracer were honoured with the iF DESIGN AWARD. 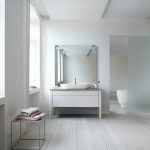 The C.1 design range perfectly reflects Duravit’s design language. The ergonomic handle with a recess underneath feels comfortable in the hand and permits a precise operation. Sophisticated details, such as the gap between the base plate and handle which has been reduced to a minimum, add to the elegant look. 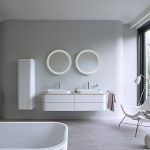 Four different heights for a range of basin dimensions, three-hole tap fittings in two heights and wall-mounted fittings with a spout in two lengths provide comfort at the washbasin as well as matching design. 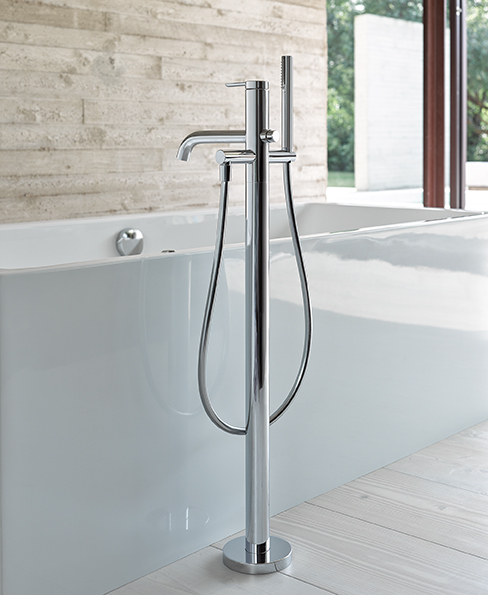 C.1 also offers an ideal tap fitting solution for the bidet, shower and bathtub. 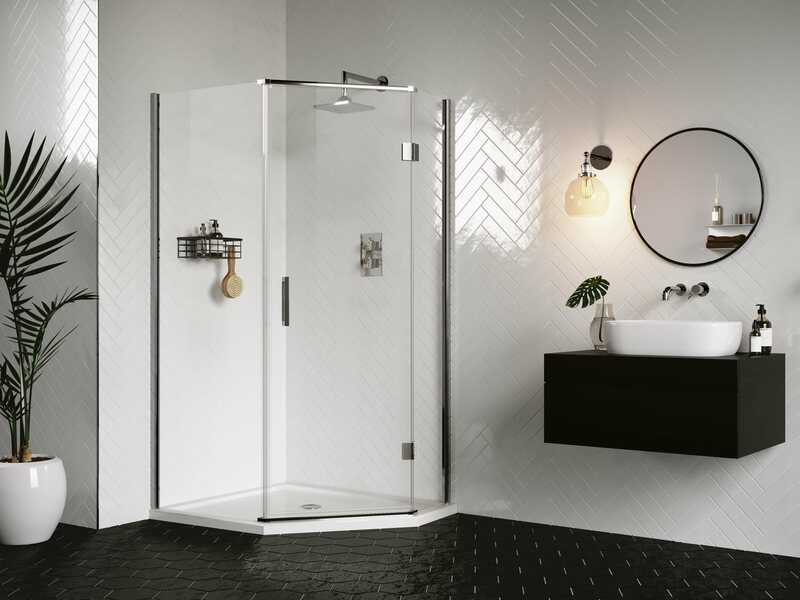 February 2018, AQATA, the leading UK designer and manufacturer of premium quality shower enclosures, has expanded its Design Solutions range for 2018 to include the new DS500 Quintet. 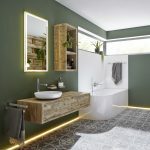 The uniquely five-sided shower enclosure fits perfectly into corners providing a contemporary design as well as maximising the bathroom’s floor area – creating a feeling of more space. 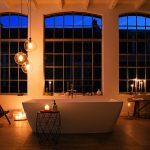 The DS500 Quintet enclosure has been introduced to the successfully established Design Solutions collection of luxury frameless 10mm shower enclosures and screens. Measuring 2010mm in height and available in two sizes: 900x900mm and 1200x900mm, the DS500 offers great versatility and can be ordered as a right or left hand opening. Continuous clear seals fit seamlessly between the glass and the hinges to provide a discreet seal and the frameless glass door has positive magnetic closing for watertight showering. Supplied with adjustable wall profiles as standard, this fitter-friendly option compensates for out of true walls – ideal for renovations and older properties. 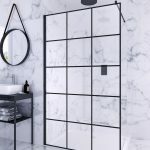 The Design Solutions DS500 Quintet shower enclosure measuring 1200x900mm with adjustable wall profiles and chrome finish fixings – complete with co-ordinating low level shower tray. The INFINITY I-Line eliminates the need for unsightly drains within a wet room environment. 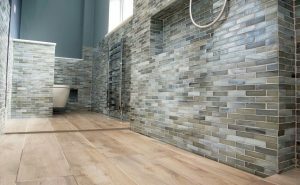 The state of the art shower floor, designed by On The Level in house experts, provides an elegant seamless finish. 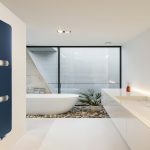 An extremely gentle sloping floor directs the water flow towards an almost invisible channel that edges the wall. This subtle linear design provides one of the most minimalist wet room shower floors to date. 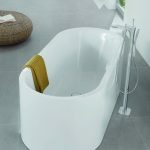 The INFINITY I-Line gives any bathroom a luxurious look and feel, the lack of a highly visible drainage system not only visually increases the feeling of space but physically gives the bather more standing room. Manufactured in the UK from high grade stainless steel the INFINITY I-Line is easy to install, there are four different stock size formers each with multiple configurations and built in gradients, so no sitting water. 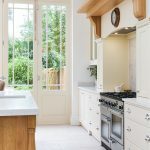 For larger rooms bespoke design options are available with dual outlet channel and the formers can manufactured up to 2000mm in length. 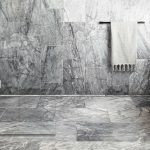 The design will work on all floor types, it has both left and right hand configuration options allowing the INFINITY I-Line to merge seamlessly into all types of floor and guarantees the latest look when it comes to high end wet room design.